It’s been a while since I’ve written about my toy data center. 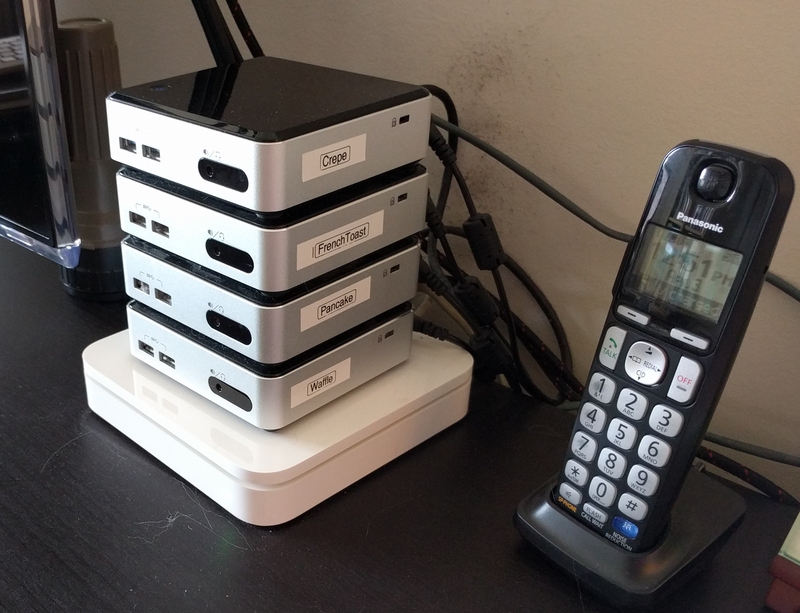 I started with two Intel NUCs and shortly thereafter expanded to four. Each of the first pair has a 240 G SSD and the second pair each sports a 480 G SSD. really nice “servers”, but what are you doing with four of them? i have one nuc6i3, doing it all and no need for a second nuc. what services and apps are you running to need 4 nucs? Well, as a recovering sysadmin, they are a playground for me to write software to help practice my skills. Why? For the fun of it. For me this is pure fun.